Hall of the Mountain King: Review: Ozzy Osbourne, "Scream"
Even the Wylde fan that I am, I was hoping some fresh blood would reinvigorate Ozzy’s sound a bit. There is some experimentation at times with a more electronic sound, a la Rob Zombie or Nine Inch Nails, perhaps due to Ozzy raiding Zombie’s band for drummer Tommy Clufetos and bass player Blasko. But by and large, it’s very similar to what we’ve heard from Ozzy since 1995’s Ozzmosis. What you have with Scream is a record that falls somewhere between 2001’s Down to Earth, which I consider a fairly underrated record, and 2007’s abysmal Black Rain, which I haven’t returned to since it left my CD player that year. There are a lot of similarities between Scream and Black Rain. For one, there’s the lead single which tries to walk the line between hard rock and dance music. Black Rain had the bouncy “I Don’t Wanna Stop,” while Scream has the equally bouncy, though not as catchy, “Let Me Hear You Scream.” Neither will go down among Ozzy’s finest moments. Also like much of the material on Black Rain, many of the weaker songs on Scream show at least flashes of life, but they’re quickly stomped out by droning vocals from Ozzy that we’ve heard dozens of times before. On the bright side, there are a few pretty good songs on Scream, which is something that can’t be said of Black Rain. I’ll start with the shining star of the record, “Diggin’ Me Down.” Far and away, this is the best song that Ozzy has recorded since No More Tears. It opens with an acoustic guitar piece reminiscent of “Diary of a Madman” before shifting into a chunky Zakk Wylde-written riff and then a marching metal stomp. Ozzy’s vocal performance here is the best on the record and the piano and acoustic guitar interlude later in the song is also well done. If the rest of the record were as inspired as this song, it would easily be Ozzy’s best in 20 years. Unfortunately, that’s not the case. Certainly Ozzy does deserve some credit for trying a few new things on this record, starting with opening track “Let It Die,” which brings some tribal percussion and electronics in the early going. There’s a heavy Sabbath-flavored riff thrown in there and the vocals are delivered in a kind of spoken word cadence. The song is likely to irk some long-time Ozzy fans, but for me, it’s refreshing at least in being different. It’s a mixed bag, though. The spooky Nine Inch Nails sounding keys on “Crucify” are cool, but we’ve heard the song itself over and over in the Ozzy catalog, likewise “Latimer’s Mercy” is interesting at first, but quickly grows a bit stale. It’s a recurring theme on this record. “I Want It More” starts with one of the best riffs on the records, moving from a 1970s hard rock groove to a more metallic staccato, but it’s spoiled by a weak chorus and vocals. “Fearless” is an OK hard rocker, but really doesn’t stand out from the crowd. The new touches don’t always work, either. On “Life Won’t Wait,” he goes for a 1990s alternative rock feel with some jangly, U2 inspired acoustic guitar and a heavier chorus, but it just doesn’t feel very genuine. 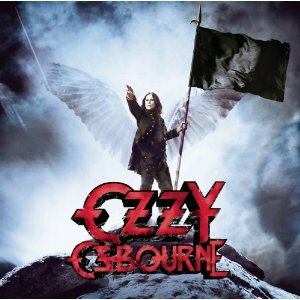 The droning “Soul Sucker,” which features Ozzy chanting the title through a vocoder just sounds a little goofy, and the brief thank you to fans at the end, “I Love You All,” comes off a bit maudlin despite some decent acoustic guitar work. There are bright moments, though. You expect Ozzy to work out his Beatles fetish at least once on every record, and that happens here on “Time,” which is a pretty good example of that portion of Ozzy’s repertoire. I particularly like the chorus. As usual, Ozzy has assembled a rock solid band to back him with Gus on guitar, Clufetos on drums and Blasko on bass. I’ve been a fan of Gus G. since his days in Dream Evil, and I know he’s got the chops. I’d like nothing better than to see he and Ozzy collaborate on something that would give me the same kick in the pants that No Rest for the Wicked did when Zakk came in. Unfortunately, I’m not sure that there’s a musician out there that could bring that kind of turnaround. As was often the case on Black Rain, it’s not the band that’s the weak link, but rather Ozzy’s unimaginative and sometimes monotonous vocal melodies. Many of the songs here leave you feeling at least a little like they’re rehashes of tunes from the last few albums. Despite its problems, though, I do believe that I’ll return to Scream more often than Black Rain, if only for a handful of solid songs. It’s a better record than I expected and, in truth, maybe the best that Ozzy can muster at this point. Album closer, “I Love You All,” seems almost a farewell, and if that’s the case, I’m not sure how I feel about it. On the one hand, Ozzy’s career has been going quickly downhill since he showed up as an addled reality TV star in the late 1990s and went from the Prince of (Bleeping) Darkness to bumbling and slightly sad comic relief. On the other, I grew up on Sabbath and his early records, and I’d rather see him go out on a stronger note than Scream. With talk of yet another Black Sabbath reunion, perhaps there’s still hope that he’ll leave us with a more lasting final memory.